Discover more about private investigators capability, employment and regulations in Texas. If you need a professional private investigator to assist you with a discreet, confidential private investigation please fill out a Private Investigator Free Consultation. Our private investigators are committed to providing affordable, reliable service in your area and report their results in a timely, accountable manner. Contact us today to begin your case. Private Investigators in Texas are required to be licensed in order to conduct Private Investigation services. If your investigation requires the case to move out of state, the private investigator must still abide by any out of state licensing requirements. A private investigator in Texas must apply to the Private Security Bureau and pass licensing requirements, including a thorough background check. While many Texas private investigators come from a law enforcement or military background, it is not a requirement for employment as a private investigator. Often times a degree in Criminal Justice or other security and investigation work can be just as important to prospective employers. You can rest assured that any Texas private investigator assigned to your case with ICS is fully licensed and insured in accordance with Texas state laws and participates in the required continuing education. It is important for you to have this assurance, as it is equally criminal in the State of Texas to hire an unlicensed private investigator as it is to operate a private investigation company without a license. Texas is the second largest state in the United States for both area and population, with over 268,000 square miles and 24 million residents. 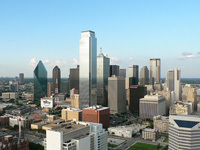 Three of the top ten most populous cities in the United States are located in Texas; Dallas, Houston and San Antonio. 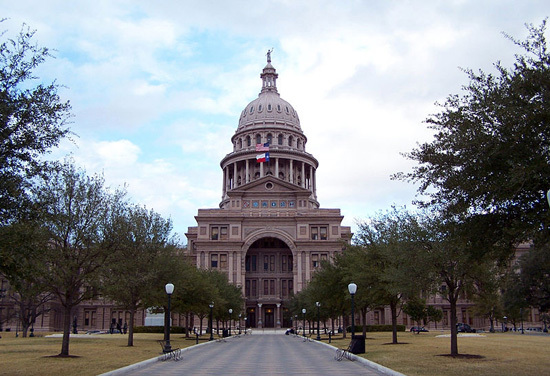 The capitol of Texas, Austin, has a large population as well, and ranks in the top twenty-five for the United States. Texas also has large rural areas that form settlements called colonias, with more residents living in colonias than any other state. Transportation in Texas follows this trend of being "big", containing the largest highway and railway systems by mileage in the United States. In addition, Texas has more airports than any state and over 1,000 seaports along its coast. The Dallas-Fort Worth International Airport is the second largest domestically and the fourth largest in the world. Transportation in Texas can sometimes prove difficult due to its large size, rough terrain, and necessary upkeep of its extensive highway system. ICS provides a full range of investigations for the state of Texas, and has private investigators in every major metropolitan region. Whether your case involves fraud, adultery, missing persons, child custody, extramarital affairs or infidelity, asset searches, surveillance, background checks or any of our other services, ICS has the resources and expertise to find the answers you need. Do you need a background check performed in the state of Texas? Background checks are one of the most well known and useful investigation tools a private investigator can provide. Sometimes a background check is all a client needs and other times it is merely the first step into a more in-depth investigation, providing clues and leads for the private investigator and client to pursue. If you need a Texas background check or an investigation involving one, the professionals at ICS are ready to work for you to provide the discreet and confidential service you need. ICS has been helping people in Texas just like you get results since 1967. Texas State requires licensing for Private Investigators, Security Guards and Agencies. Only licensed investigators can conduct investigations in Texas. These licenses are only good for Texas, there is no State Reciprocity.